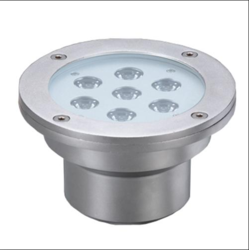 Pioneers in the industry, we offer led underwater swimming pool light and led underwater light from India. With the help of well-trained professionals, we are engaged in offering LED Underwater Swimming Pool Light to our clients. The offered products are made available in many specifications to cater to the customer needs. Offered range is designed under shadowing of trained professionals by making use of pristine-quality material which is been obtained from specialized vendors of the industry. Naval brass grade with chrome finish. We are dedicatedly engaged in providing a large assortment of LED Underwater Light. Due to the smooth surface and high illumination, these products are perfect for various underground applications. Offered range is designed under stern shadowing of trained professionals by making use of the pristine-quality material. These are filled with resin, and have completely waterproof, wall mounted and niche-less with S.S frame. 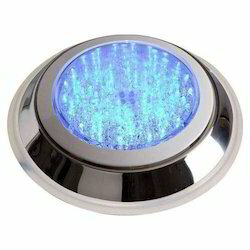 Intelligent colour changing LED under water lights for swimming pool and spa. Lamps fully filled with resin, completely waterproof, wall mounted, and niche less with S.S frame. Models available in RGB, Cool White, Warm White and Blue colour, RGB lights need synchronization control panel with remote control. Looking for Underwater Light ?